Today I just want to do a quick video on sleeping. And you know, it’s as if they expect me to come up with and say a few words to them, and I am going to automatically, you know, they won’t have this problem any more. And it doesn’t work like that. Sometimes, you just have to put up with the lack of sleep as it is. I mean, you can go down to your Doctor and you can get Sleeping Pills. But as far as I’m concerned you’re not breaking any cycle then, you’re adding to a problem by getting another problem. 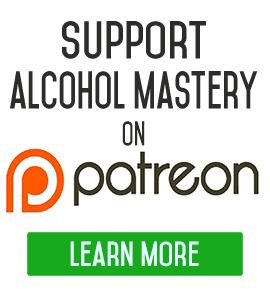 What you’re trying to do is, you’re try to break your dependence, not just on alcohol but on any drug, on something outside of yourself, when you can find most of the solutions to all your problems, by looking inside, right? And by a bit of hard work. 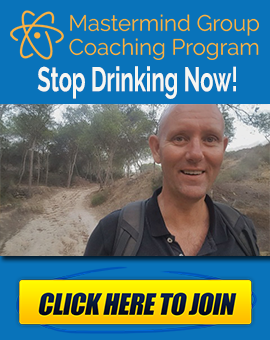 Most people don’t want to do that – they want to have the easy solution, which is why people drink alcohol in the first place. And it is such an easy thing to do, to be able to nip down to your Doctor, explain yourself and say – “I need something to sleep and to take a sleeping pill.” – right? And for me, it’s a short-term strategy that’s going to do you damage in the long term. It’s still having that mentality of instant gratification and taking the magic pill and making the problem go away, but the problem doesn’t go away, the problem just festers underneath and gets worse because you still have to deal with that. I mean, if you take a sleeping pill now, right? To sleep. 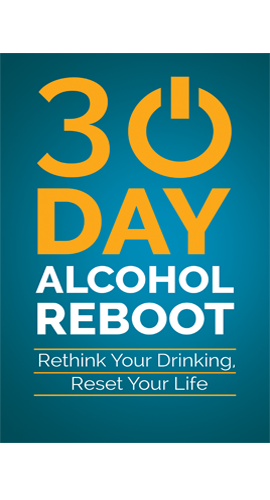 What you’re in effect doing is you’re switching over from the alcohol to a sleeping pill. 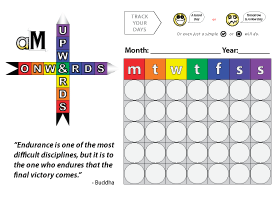 So, when you decide, – “Well I have to get off the sleeping pills.” – then you’re going to be in exactly the same position as you were with the alcohol. So, you’re taking a chemical to feel high, whether it’s alcohol, speed, cocaine, whatever it is and your body has to adjust then when you stop taking it. You’re taking a chemical to help you go to sleep, whether it’s alcohol, whether it’s a sleeping pill, whether it’s smoking a joint. And when you start to feel the consequences of that, when it doesn’t work, when the sleeping pill stops working and you have to take a higher dosage of the sleeping pill, then, you know, you’re going to have the same problem again. You know, you’re going to have this tolerance level where if you stop taking it, you’re not going to able to sleep. What I’m saying to you is that, put up with the short-term pain now and put up with not being able to go sleep. And after a month, I was sleeping better than I ever did, in the past. Now I still have problems, there’s times I go to bed and I wake up two or three hours after I go to sleep, it’s just natural. If things on my mind, things that happen in my life and we are making a lot of changes now, that’s for another video. Sometimes those, I can’t just shut my mind of and I might go to bed tired and feeling knackered and stuff and I can get into bed and I’m asleep within minutes of my head touching the pillow, having a great sleep, but then I wake up three hours later and I can’t go to sleep again. Sometimes, I’ll get up and I’ll watch the television. Or I’ll do something, read a book, I’ll get the bed and just change my environment, go to sleep on the coach. And I’m back asleep again within half an hour, an hour, you know, but other times I’m not and that’s just the way it is. 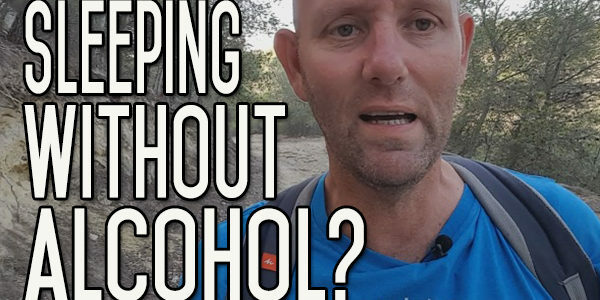 So, when you’re stopping something like alcohol, it’s such an insidious chemical, that you’ve taking into your body over the years and you’re so used to doing it as a habitual thing, it just takes a long time for your body to adjust to not doing it. Your body wants to sleep, it needs to sleep, so it’s going to do its best to try and aid that, right? One of them is to start well before you go to bed and get into a bed time routine, you know, a lot of the time when we go to bed as alcohol drinkers, we basically drink until it’s bed time, until we’re feeling tired. And then we go right, I’m really tired now, I’m going to fall asleep here if I don’t go to bed and you go to bed and bang! you’ve gone asleep. It doesn’t happen when you’re not drinking, so you have to make it so that your environment is gradually and slowly, pushing you into that same state where you get into bed. So, turn the TV off, stop any really over stimulation of your brain, right, an hour before you go to sleep. Put on some scented candles, some joss sticks, whatever it is, have a warm bath and get yourself into a nice relaxed state. When you get into bed, don’t watch TV. Don’t play with your mobile phones or you know do games or anything like that. Read a book, do something which is very relaxing, sort of almost boring you know, but that’s taking your mind away from thoughts and stuff and hopefully you’ll go to sleep from there. So, I hope you enjoyed that video. I hope you got something out of it. Give us a thumbs up if you did like it, subscribe to the channel if you’re not already subscribed. If you want to leave a comment, then leave them down below, if you want to get these videos into your inbox, every day, then come on over to the website and over on the right hand side. I always have to think, right, left, left, right – I’m one of those people whose like – I say to people go right and I’ll be pointing in that direction you know, anyway, this side the right hand side, right, there’s a box there, that’s a subscribing box, so just subscribe there, give us your email address and I’ll send you an email every day. If you don’t want an email every day, if you just want once a week, that’s fine – there’s an option for that as well. "Dear mind, please stop thinking so much at night - I need to sleep "
The Ideal Situation is No More Alcohol…What’s the Next Best Thing? I was very lucky when I stopped drinking, my problem was I slept so deep I didn’t wake up, with out an alarm or the wife prompting me. On the odd occasion where I have been thinking too much about a problem and just find myself not being able to switch off, I have found hypnosis very quick and affective, I sometimes use it in the day as something nice to do. I have a few different ones on my phone. I don’t know if they give you the benefits they claim but they do put you to sleep. You can get ones that just put you to sleep, they may be worth a try for some people. I had one that claimed to program you to relax when your head its the pillow. Did it work, I don’t know but I do sleep right through the night, I don’t even get up for a pee since I stopped drinking. I can go to bed at 10:30pm and wife wakes me at 7am. I think sleep plays a huge part in how well I feel. I was deprived of sleep when drinking and didn’t even realize it, yes I would go out like a light, but it was not proper sleep so I was always knackered. If you drink, you do not get enough sleep you miss out vital stages of sleep, particularly REM sleep, experiments with rats being deprived of REM sleep resulted with dead rats. so don’t kid yourself you sleep better with alcohol.